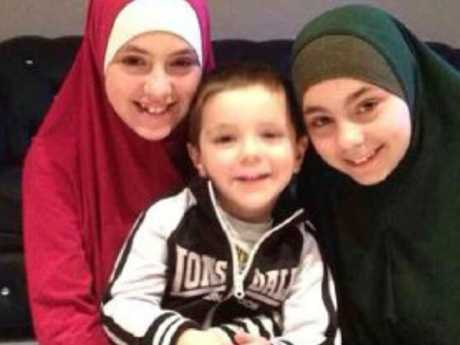 Khaled Sharrouf’s children Zaynab, Abdullah and Hoda. HER childhood could hardly have been more traumatic. She was taken to a war zone at 11 years old, married to her father's friend at 13 and had a baby a year later. Her father, mother, husband and two brothers all died soon afterwards, and she is living at a squalid camp with two siblings and her two young children. Now 17 and pregnant with her third baby, Australian Zaynab Sharrouf is seriously malnourished and there are fears she will miscarry. But many in Australia do not want to help the teenager, in a case that has been compared to that of British citizen Shamima Begum. There is evidence the daughter of the notorious jihadist Khaled Sharrouf has been radicalised, and fears she could be a danger to society if she returned from al-Hawl camp in northeastern Syria. Zaynab, now 17 and pregnant with her third child, with Hoda, 16, who is reportedly caring for her sister’s children at the al-Hawl camp in northeastern Syria. Jamil Rifi, a prominent Australian Muslim leader who has spoken to people at the camp, believes we have a responsibility to help Zaynab, and others like her. 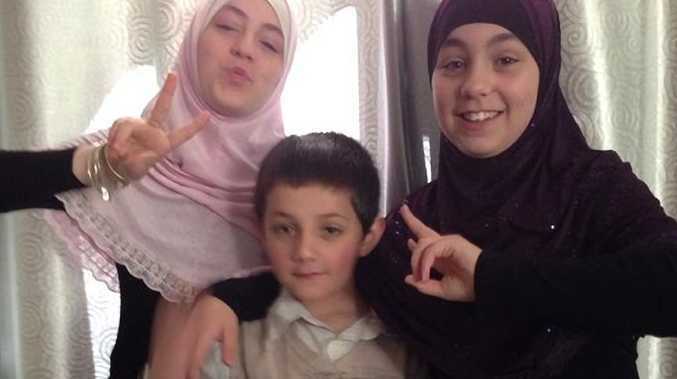 Zaynab, pictured with Abdullah and Hoda, is said to be so sick she cannot stand. "She's not eating, dehydrated, just lying motionless," Sydney-based Dr Rifi told news.com.au. "She's feeling very down and depressed. "The camp is overcrowded, dirty … it is inhumane to keep them there in squalid conditions." Zaynab is stranded at the refugee camp with her children Aiysha, 3, and Fatima, 2, her sister Hoda, 16, and brother Humzeh, 8. Hoda is caring for the other children, said Dr Rifi. The family is among at least 40 women and children stranded in Syria after the fall of IS, an estimated 27 of whom are under 18. "They shouldn't be penalised for the sins of their parents," said Dr Rifi. "They are extremely sick and very vulnerable. "They're going to be at the mercy of radical elements in the camp." 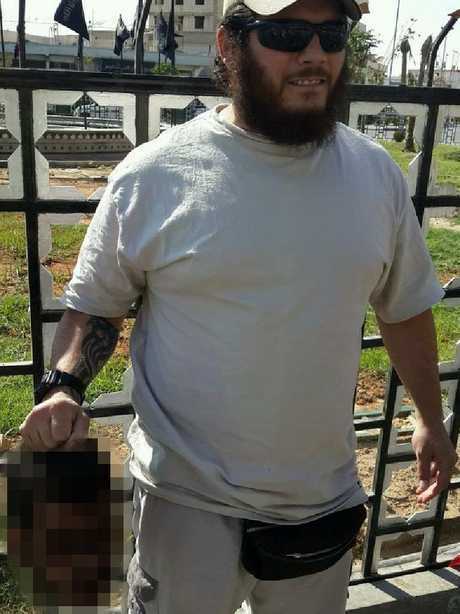 Khaled Sharrouf moved his family from Sydney to Syria in 2013. 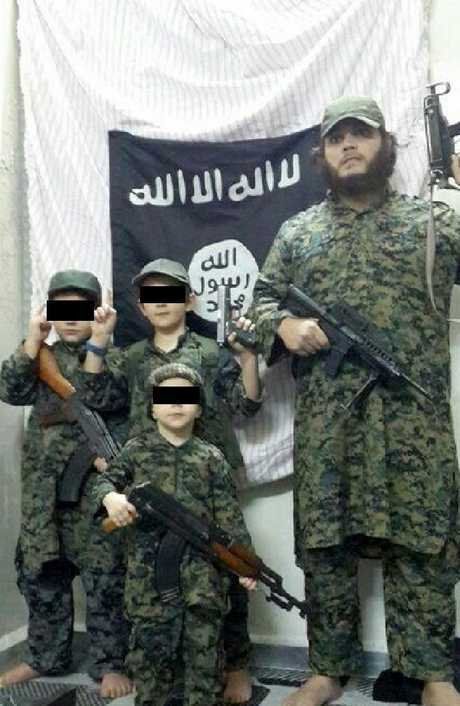 Pictured, Zarqawi, Abdullah, Humzeh and their father. Only Humzeh survives. Sharrouf poses with the decapitated head of a slain Syrian soldier. 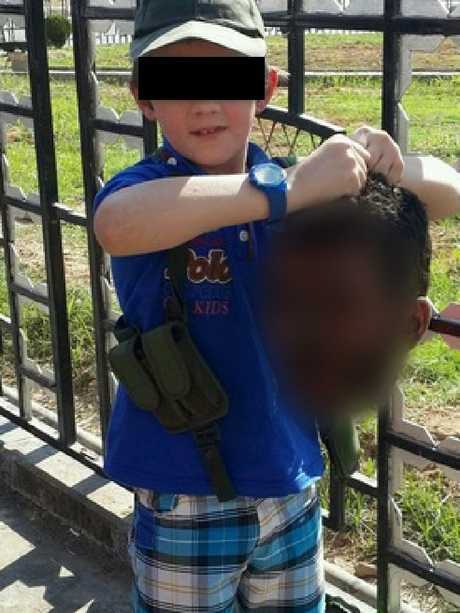 He also made his son Abdullah pose with a severed head. Zaynab was married to Sharrouf's friend Mohamed Elomar, pictured, when she was just 13. He insists Australia must "bring them here rather than leave them at the hands of radicals, where they can be radicalised further". 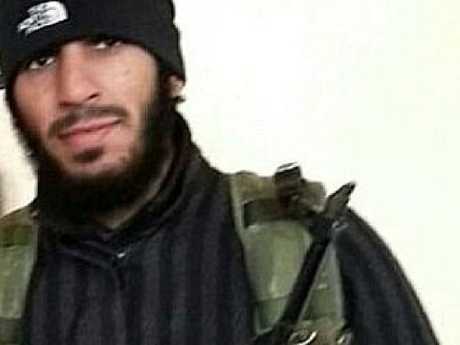 Dr Rifi told news.com.au he believes all Australian jihadists in the Middle East should be brought back so they can be put through the justice system and be monitored, rather than left to potentially plan acts of terror on home soil and recruit other Aussies online. Scott Morrison initially declared that he would not risk Australian lives to help those at the camps, but this week said the children will be given passports if they can get to an Australian embassy. "When they might be in a position to return to Australia, we will co-operate with that process," he told reporters on Friday. Bill Shorten has supported the Prime Minister's vow to keep IS fighters out but look at bringing back their children. 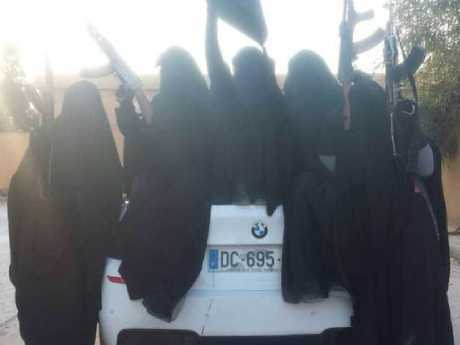 Zaynab is thought to have been radicalised in Syria, apparently posting a photo of herself and other Islamic State bribes holding machineguns and posing on a BMW with the caption: ‘chillin in the khilafah, lovin life’. "When we talk about the children … they're innocent, they're caught up in this madness," the Opposition leader told The Australian. Khaled Sharrouf sneaked out of Sydney on his brother's passport in 2013, taking his family with him. 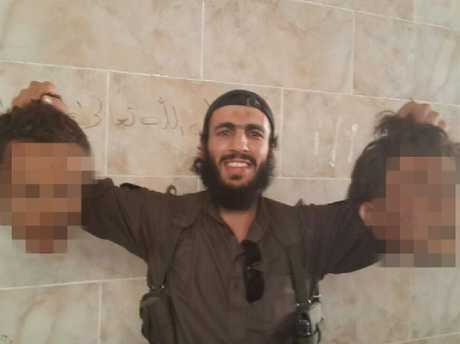 He and his sons notoriously posed with severed heads of Syrian soldiers in sickening photos distributed online. Zaynab's social media posts at first sounded like those of a typical teen, dreaming of romance with Justin Bieber. But by 2015, she appeared to have been radicalised, changing her name online to Umm Hafs and renaming one account "Soldier of Allah", with an image of a coat of arms made from a knife and two guns. The 13-year-old wrote that she had married her father's 34-year-old friend, Mohamed Elomar, and that "September 11 is the best day of my life". They had a baby named Aiysha. Elomar died soon after, and Zaynab also lost her mother, Tara Nettleton, and two elder brothers, Abdullah and Zarqawi, who were killed alongside their father. She then had another child, Fatima. 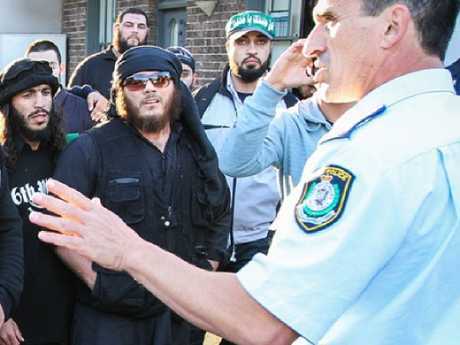 Elomar (left) and Sharrouf (centre with sunglasses) at a 2012 riot in Sydney, Australia. The young woman apparently posted photos of women in niqabs posing with a white BMW, holding IS flags and brandishing machineguns. "Chillin in the khilafah, lovin life," an image apparently showing her with her mother and Australian Zehra Duman was captioned. "Kikn it in the Khilafah," said another. She also apparently shared photos of Yazidi toddlers brainwashed into loving IS, after an ABC investigation revealed Sharrouf and Elomar had kidnapped, enslaved, raped and sold Yazidi women. Zaynab's grandmother Karen Nettleton flew out to the camp to help her family after the children were identified last week. 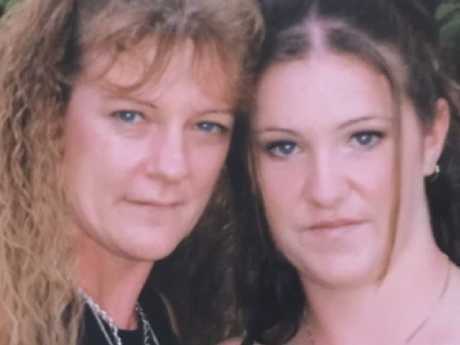 "They're just kids - they're Australian children, they're orphan children, they're my children - and they're not going to be a risk to anyone," she told Four Corners. 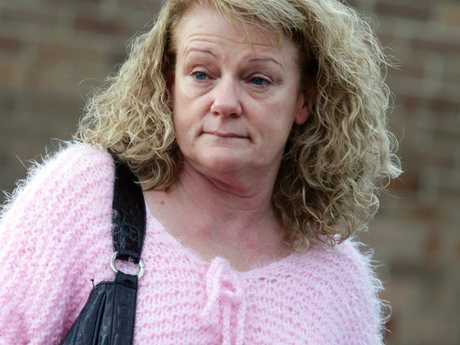 She denied suggestions the children had made a choice to remain in Syria over the past five years. "Once you're in there you can't get out," she said. "You couldn't really trust people to take you out because they will turn you in to ISIS and you'd be killed." Mohamed Elomar's brother Ahmed, 36, told The Australian he would "100 per cent" help support the Sharrouf children, who he used to take out on horses when they visited his family's home in Sydney. "I was surprised they were still alive because I thought they had all died," he told the newspaper. "I was happy." Ahmed was jailed for assaulting a police officer during Sydney's Hyde Park riots in 2012 and he was arrested again in 2017 after an altercation at his child's soccer game. His conviction was later overturned but he still has to wear an ankle bracelet and live by strict conditions, with police suspicious he was an extremist. But he said he was never radicalised, and he and his father had tried to persuade Mohamed not to go to Syria. Zaynab married her father’s friend Elomar aged 13 and had a child with him. He was killed a year later.